Cut fruits or Vegetables like apple, beats or pears in quarters, even eights if they are large. 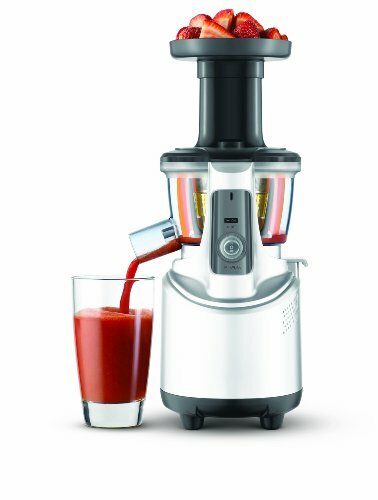 If the fruits or vegetables become jammed in the screw and the juicer stops operating press the off button to the center. Ensure that the juicer comes to a complete stop. Press the REVERSE button and hold it until the fruit or vegetables become dislodged. Do not exert excess pressure, the fruit or vegetable should almost be pulled down by the screw. Do not load the feed chute with food until the motor is running.